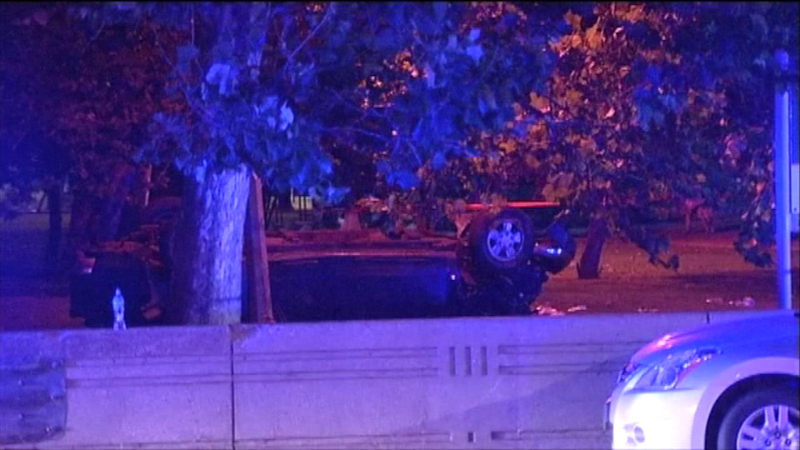 CHICAGO (WLS) -- Chicago police say one woman was killed and a man was injured in a single-car rollover crash on Lake Shore Drive Thursday night. Police say the crash happened in the 5700-block of North Lake Shore Drive in Chicago's Uptown neighborhood. The male driver was taken to the hospital with non-life threatening injuries. A 33-year-old woman was killed. According to officials, alcohol and excessive speed may have played a role in the crash.